The 30th UN-Water Meeting was convened at the headquarters of the International Fund for Agricultural Development (IFAD) in early February. Participants discussed upcoming high-level events and reports that are being prepared on water and sanitation policy and practice issues, including on the implementation of Sustainable Development Goal (SDG) 6. The 30th UN-Water Meeting reviewed the consultation process that was undertaken during the final stages of the preparation of the Synthesis Report, including recommendations for the next Synthesis Report. During the meeting, the report from the SDG 6 Public Dialogue was launched. Participants also addressed ongoing work on SDG 6 indicators, upcoming global awareness-raising events, and the UN General Assembly (UNGA) resolution that calls for two high-level meetings – one in 2021 and one in 2023 – on water and sanitation issues, and options for how UN-Water could contribute to the preparations for these meetings. For the first time, the UN-Water agenda included an “Open Space” session for participants to propose specific topics that could benefit from a focused discussion and brainstorming. 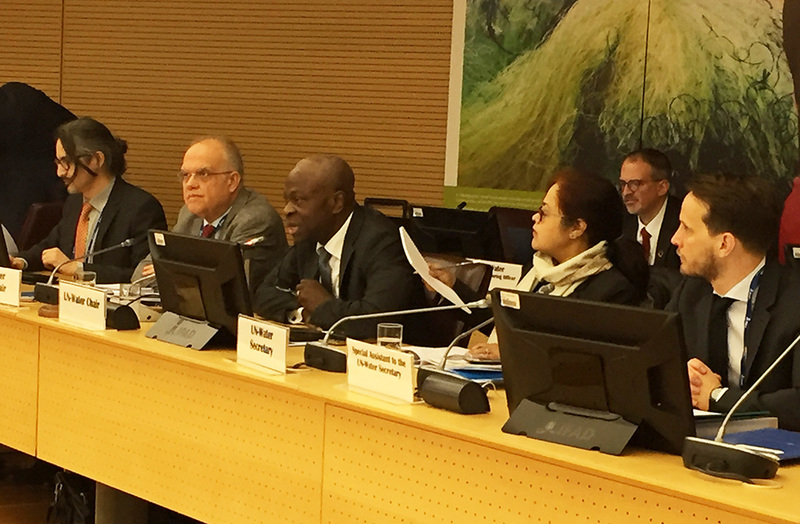 At the conclusion of the meeting, UN-Water Chair Gilbert Houngbo highlighted the discussions on data for measuring SDG 6 progress, country-level activities for UN-Water, and the role UN-Water Partners can play in engaging with UN-Water and the specialized UN agencies, all of which captured UN-Water’s collaborative approach to coordinating actions to address global water challenges. Access the summary report from the 30th UN-Water Meeting here.